The Imaging Department at London Orthopaedic Specialists is a cutting edge digital facility providing state-of-the-art technology that ensures our patients are offered the very best in modern imaging. Our imaging facilities offer patients a cutting edge experience with state-of-the-art technology to ensure the very best in modern imaging. 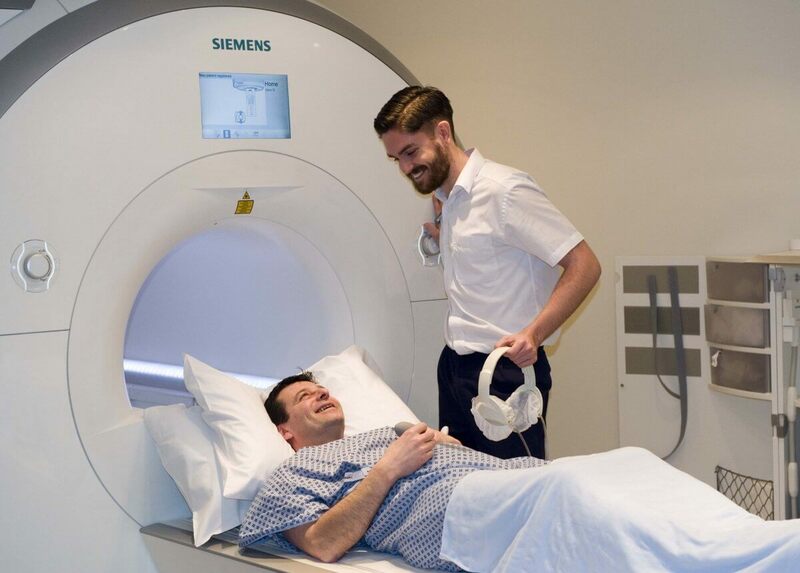 We were proud to have been be London’s first private Hospital to install the very latest in CT scanning technology, the Philips Brilliance 256 slice CT scanner and have now gone a step further in 2017 by becoming the first Private Hospital in the UK to install the Toshiba Aquilion ONE Genesis Edition. Our imaging department is staffed by State Registered Radiographers and Consultant Radiologists and operates in accordance with guidelines produced by the Royal College of Radiologists and College of Radiographers. Experienced Receptionists, Medical Secretaries and Health Care Assistants complete the team delivering care within the department. General Radiography – A full range of plain film skeletal radiography using low dose digital radiography. Breast Imaging – Full field Digital Mammography, Breast Ultrasound, Fine needle aspiration and Breast biopsy, Breast MRI. Digital Fluoroscopy – Barium Studies, GU Tract, Pain Management Procedures, Percutaneous Vertebroplasty. Interventional Procedures – Biopsy, Aspiration, Drain insertion and pain management procedure under X-ray, Ultrasound or CT Control. Ultrasound Scanning – Routine abdominal and pelvic scans, transrectal prostate scanning, transvaginal pelvic scanning, musculoskeletal scanning, ultrasound guided biopsy, ultrasound pain management/ joint injections. Non-invasive Vascular Assessment (Ultrasound) – Venous and arterial assessment of the Arms and Legs, Carotid Vessels and Aorta using colour doppler ultrasound. 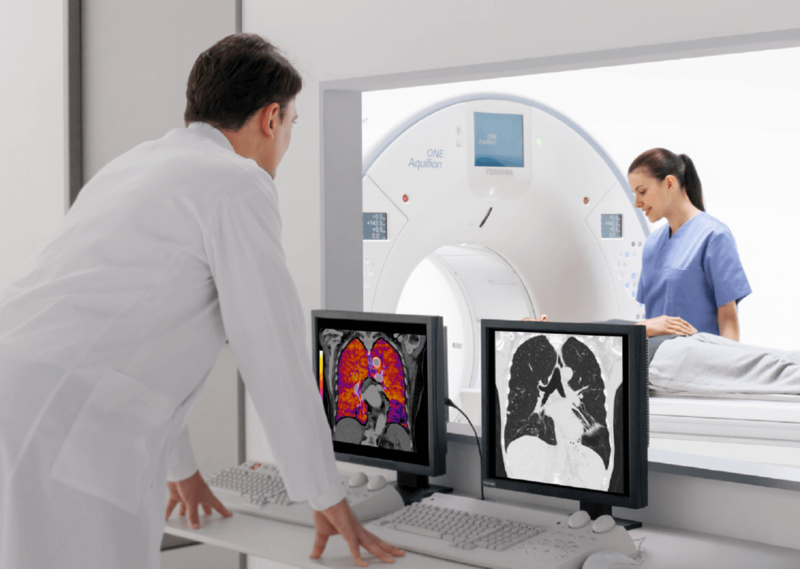 Magnetic Resonance Imaging (MRI) – 3 Tesla and 1.5 Tesla Magnet scanners for a wide range of examinations including, joint imaging, neuro and spinal imaging, breast imaging, abdominal and pelvic imaging. Multislice Spiral Computerised Tomography (CT Scanning) – 256 slice iCT scanner with a wide range of applications including, Virtual Colonoscopy, CT Angiography, Specialist Cardiac Investigation including Calcium Scoring and Cardiac CT Angiography, CT Urography. Specific preparation instruction for each investigation or procedure will be given when booking the appointment.